Compressed air is a vital part of industrial operations, including powering pneumatic tools and garage service lifts. It is often thought of as a “free” source of energy when in fact it is one of the least efficient and most expensive in the industry. Even the smallest compressed air system can be a relatively large component of energy consumption and cost. Multiple stage compressors vary their speed to match load. Switching to a variable speed compressor can result in significant energy savings. Dryers help remove the moisture in the air, increasing the efficiency of compressed air production and reducing energy load. Select the drying technology that gives you the maximum allowable pressure at dew point. Compressed air requirements may change over time or vary between shifts. Compressor controls allow compressor speed to vary to match need. Air receivers are designed to provide a buffer capacity between the supply and the demand sides of a compressed air system. Having enough storage capacity near the compressor plant protects the compressors and dryers from sudden shift in demand. They also prevent false loading of the compressors. Air-entraining air nozzles draw in (or entrain) surrounding atmospheric air, reducing compressed air use at the nozzle. The independent Compressed Air Challenge provides information on energy saving potential of compressed air systems. 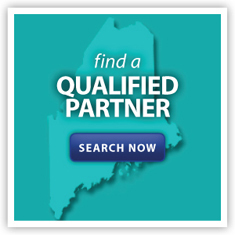 Visit the Compressed Air Challenge website for more information or contact an Efficiency Maine Qualified Partner for more information. Our locator tool will help you find one in your area.